Living close to London has so many advantages, but one of the best has to be the array of theatre productions on offer. 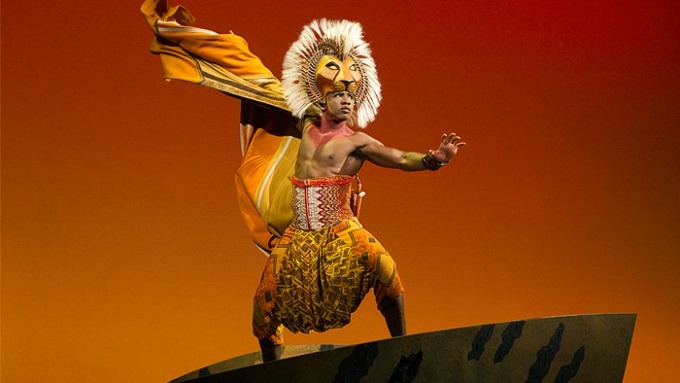 From the Lion King to The Mousetrap, visitors travel from all over the world to take advantage of the West End shows. With a daughter now verging on the teenage years, Helen explores the best shows in London for teens and tweens. Every summer, we plan a special day out, just me and my daughter. As a family we do so much, and both children are busy with various weekend pursuits, and it can be difficult to get any one-to-one time as a parent with each of our kids. So she and I plan a day in the summer holidays to visit London. We began when my son was a baby, to get some time together that was all about her, and it’s a tradition which has lasted. We shop – what once was a four-hour stint in Hamley’s is now a full-scale fashion expedition along Regent and Oxford streets; we eat – ice-cream for tea in Haagen Dazs was always a favourite, but now she’s older it’s more likely to be macarons at the Café Royal. And then there’s the theatre. It started with Oliver!, and we’ve since seen Mamma Mia, Wicked, and Charlie and the Chocolate Factory. But she’s older now, and on the cusp of being able to manage some older themes, which opens up even more theatre options. So I’ve been exploring the reviews to decide what we should add to our list. 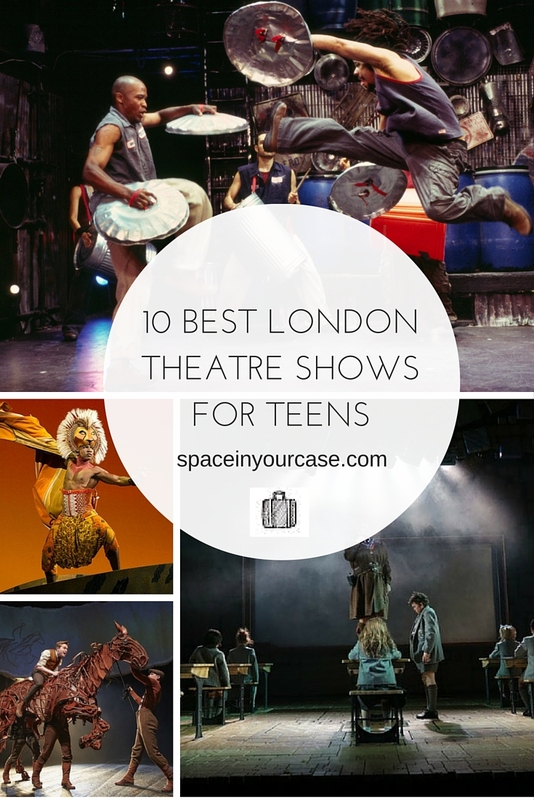 Here’s my round up of the best London theatre shows for teenagers. We actually saw Matilda when my children were nine and six respectively. All four of us were spellbound for the entire show. The acting is impeccable and energetic, the staging is so clever, and the music is so addictive that it has boosted my daughter’s desire practice her piano, so intent is she on learning to perform ‘Naughty.’ My own opinion is that it is much, much better than its colleague Charlie and the Chocolate Factory, Tim Minchin’s hilarious lyrics bringing it to life in a way that even Roald Dahl couldn’t. They might mumble about it in advance, but teens will come out as inspired as everyone else. It’s still a riot of a show. Teenagers may not confess to it, but they all know the lyrics to Dancing Queen, and they all like to sing it. It’s also one of those shows that can be enjoyed on two levels, a bit like a Disney animation. We saw it when my daughter was seven, and some of the more adult references went over her head. Nowadays, she’d understand, and take it in her stride, but it’s all fairly harmless. Admittedly, it’s one for the girls, so perfect for a mum and daughter night out. The classic battle between good and evil is always a hit, and Wicked continues to draw visitors, ten years after its opening night in London. It’s the one show we’ve seen that my daughter is keen to see a second time, and it’s always a close call whether to go for something new, or this Wizard of Oz remake she loved so much. What I think works for teenagers is the whole ‘coming of age’ angle to the story, the suggestion that not all bad people start out bad, and how a multitude of facets go into creating the person you eventually become. 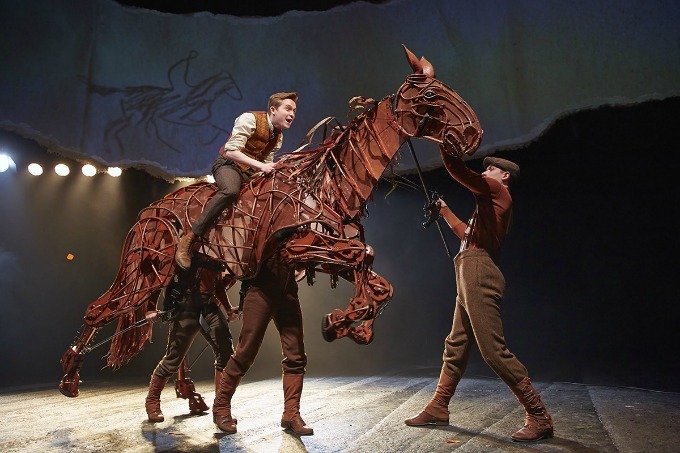 If your teen isn’t keen on musicals, War Horse might be a good choice. There is music, but in a much less glitzy, showy way than the traditional musical theatre shows, and it’s ancillary to the real excellence of the production – the puppetry. I saw this with my husband, and initially I wondered if the men manipulating the puppet animals would distract me from enjoying the performance. It’s testimony to the brilliance of both the performers, and the models, that after only a few minutes, I totally forgot that there weren’t real horses on that stage. Any teenager who has enjoyed reading the Morpurgo classic in his younger years will love it. You’ll have to be quick though, the eight year run ends on 12 March 2016. Not closing down any time soon is The Mousetrap, which is in its 64th year in the West End. The Agatha Christie thriller continues to ask audience members at the end of the play not to reveal its ‘twist’ ending, and try as I might, I couldn’t discover it in online reviews. This show is so iconic as to be a must-see, and remembering how much I loved the easy reading style of a Christie novel as a teenager myself, it’s bound to be a hit with teens. Not officially a show, but a Canadian theatrical producer, Cirque du Soleil create a variety of shows across the world. 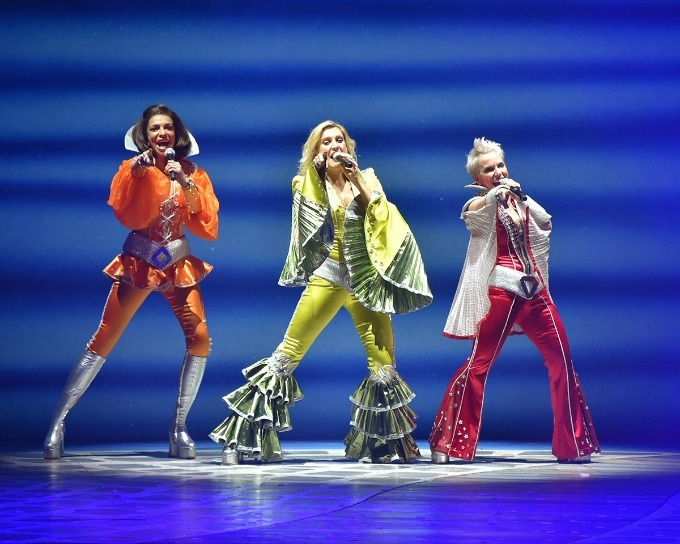 Currently in London, their newest Amaluna production is “a celebration of love and a tribute to the work and voice of women,” involving primarily female performers. A blend of music and movement based on circus skills, their productions are hugely impressive for the skill of performers, and the stunning costumes. Amaluna is getting mixed reviews, but Cirque du Soleil is definitely a show to keep on your teen’s wish-list to see at some point. 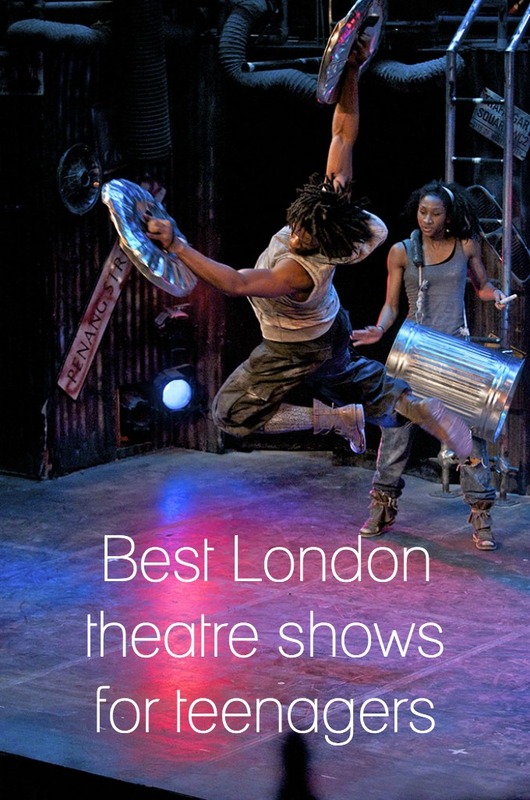 An absolute must for teenagers, especially those with a love of dance and music, Stomp combines everyday humdrum – think newspapers and bin lids – with a music and dance phenomenon so full of energy that your kids will leave the theatre pumped and ready to create some noise for themselves. Tripadvisor uses words like exhilarating, and intoxicating, and although one or two people complain it is too loud, I’m guessing that’s half the point, and I can’t imagine a teenager finding it a problem! Definitely a show for children who have mastered an understanding of when and when not to swear, Billy Elliot is nevertheless gripping even for younger teenagers. I was concerned that the gritty subject matter of the miner’s strike, and the hardship that went with it, might be too dry for my then ten year old, but she absolutely loved it. The show is not without its frivolity to punctuate the serious nature of the topic, and it prompted a long discussion on our way home of the trade unions, and the working class struggle of the 1980’s which she found fascinating. More grit, Les Mis also has the capacity for tears, and not of the sentimental variety. I’ve delayed taking my tween to see this, knowing how deeply moving the storyline is, and have completely banned the movie for a couple more years. 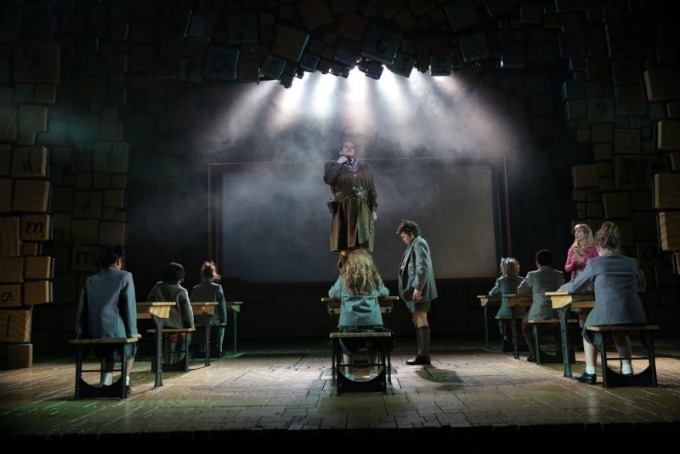 But although this is a dark production, I think the West End show would be easier on a child than the film, and it’s definitely on our list, if only for the music, and the story that she knows so well from her own drama classes. One for older teenagers. I’ve added this one in because really, why not? I’d defy anyone, of any age, not to absolutely adore the staging, the costumes, and the story of this long-running West End show. We’ve seen it three times, and I’d totally go again – it’s the pinnacle of West End greatness for me. Absolutely brilliant! Do you have any great recommendations for shows you’ve seen with your teenager?